As far as I’m concerned nothing says “new” like Google not knowing what it is! 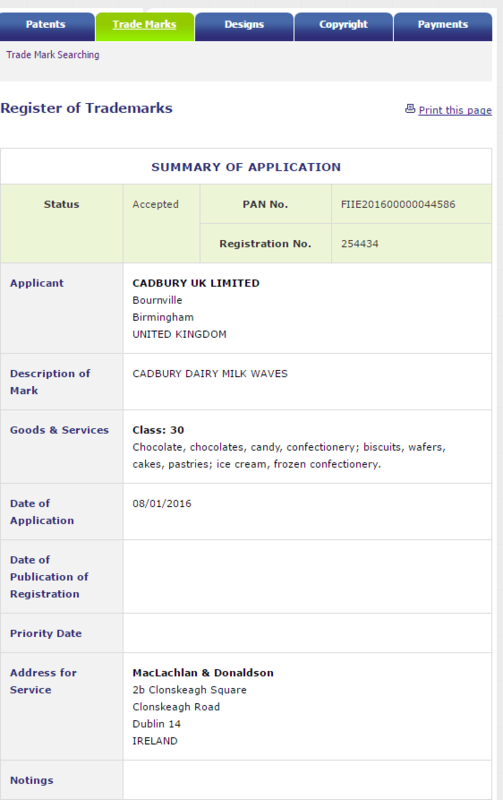 So being a chocoholic, when I saw a Trade Mark Application for “Cadbury Dairy Milk Waves” in the Irish Patents Office, I instantly wanted to know if this was a new chocolate or whether I had missed something (I rarely miss new chocolate). 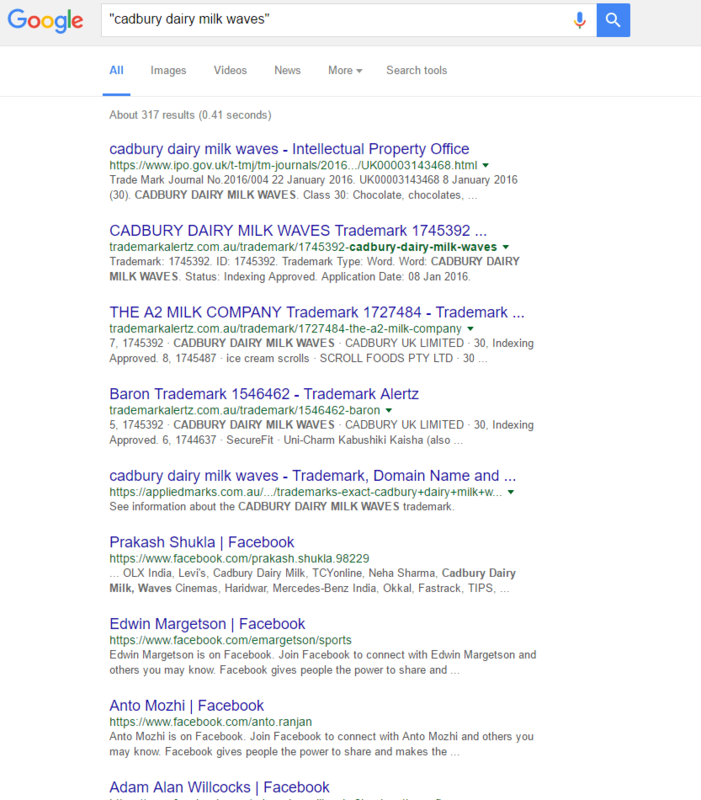 And the only thing google knows about it is the global trade mark applications. So you know what that means……NEW CHOCOLATE!! If Cadbury want to send me the first box to try out in light of my new discovery I’d be only too happy to be the official taster! NextEre Me Now – Mr. Boombastic Beer is Here! !